It's almost October, and my fall baking season has begun! I've already stocked up on Trader Joe's pumpkin bread mix, and I've bought lots of pumpkin puree for those other times when I want to bake from scratch. My first baked treat of the season is a mixture of both: you start with a cake mix, but you add flour, eggs, and other ingredients to make it your own. 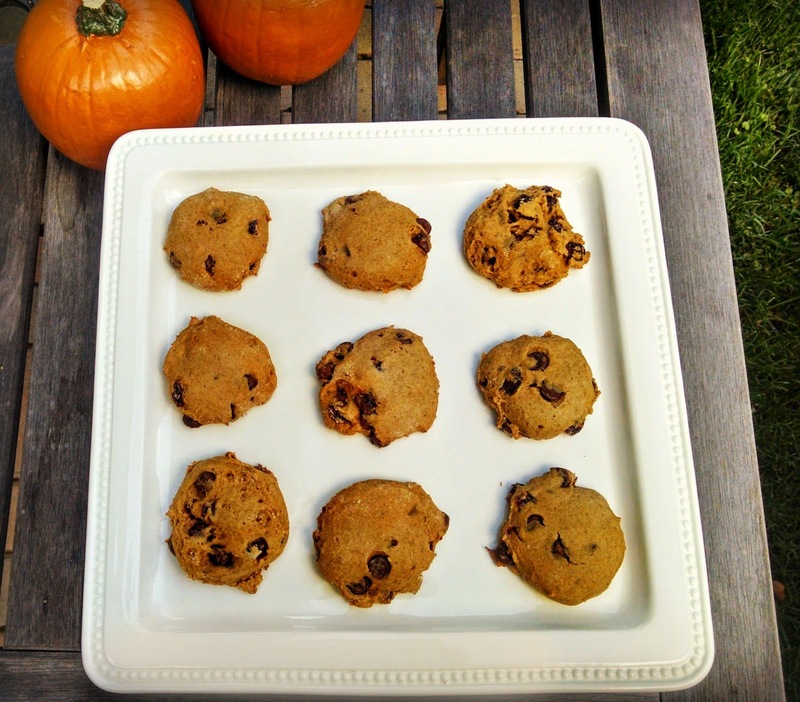 This one is from The Ultimate Cake Mix Cookie Book, and it's called Whole Wheat Pumpkin Breakfast Cookies. Since it has whole wheat flour and pureed pumpkin, I guess the author figured it was as least as healthy as the breakfast muffins you buy at your local bakery. I added chocolate chips, so I'm not even pretending that it's anything but a yummy treat :) These cookies are soft and cakey and super delicious. However, they're on the dry side -- so you'll want to have them with a cup of tea or a glass of milk! Mix the cake mix, pumpkin, whole wheat flour, oil, and eggs in a large bowl until well blended. 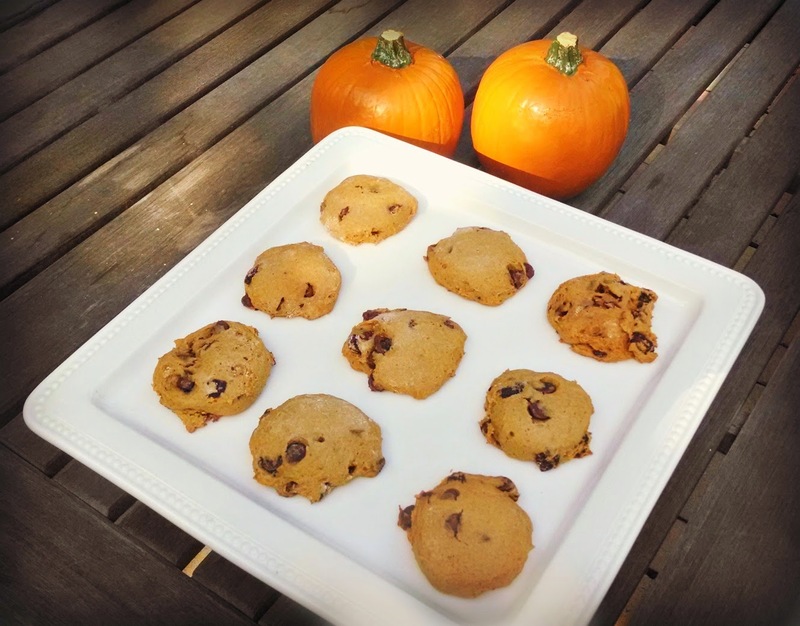 Drop by 2-teaspoonfuls onto a baking sheet lined with parchment paper. I use a mini ice cream scoop/cookie scoop. Dip your fingers into the all-purpose flour and press down on each cookie round to flatten it (this cookie doesn't spread very much so if you don't flatten it, it will end up looking like a baked scoop of ice cream! ).